In June 2004 I reported to the Naval Hospital at Camp Lejeune to be the facilities manager. The facilities manager is responsible for all the construction and maintenance at the hospital. 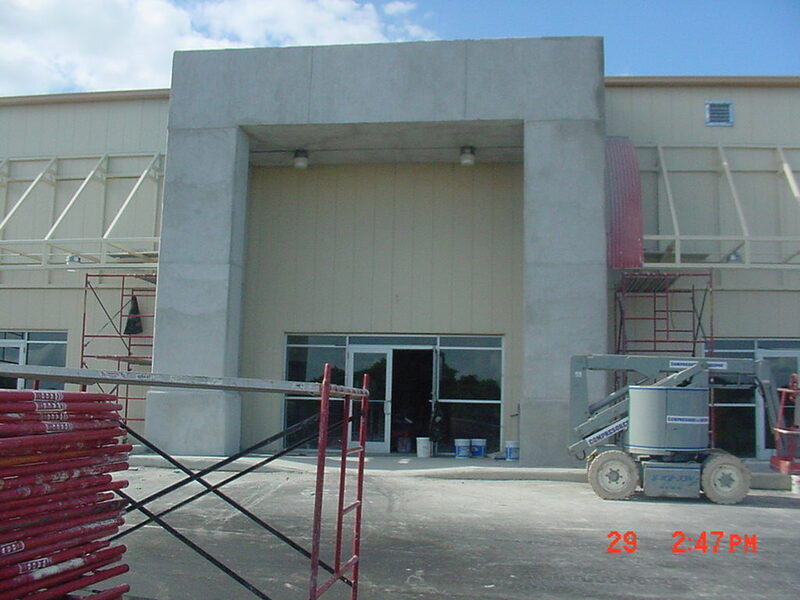 I was responsible for about $12M in construction projects and 600,000SF of hospital and branch clinics. I had 35 staff including a Master Chief and 30 civil service employees ranging from WG-2 to GS-12. While it was a lot of work and sometimes got very frustrating, I enjoyed it quite a bit and got to see and do some interesting things. It is really just constant problem solving with an engineering and medical focus. I must have liked it enough because this is what I plan on trying to get a job doing in the civilian world when I return from Iraq next April. The entrance to our camp. 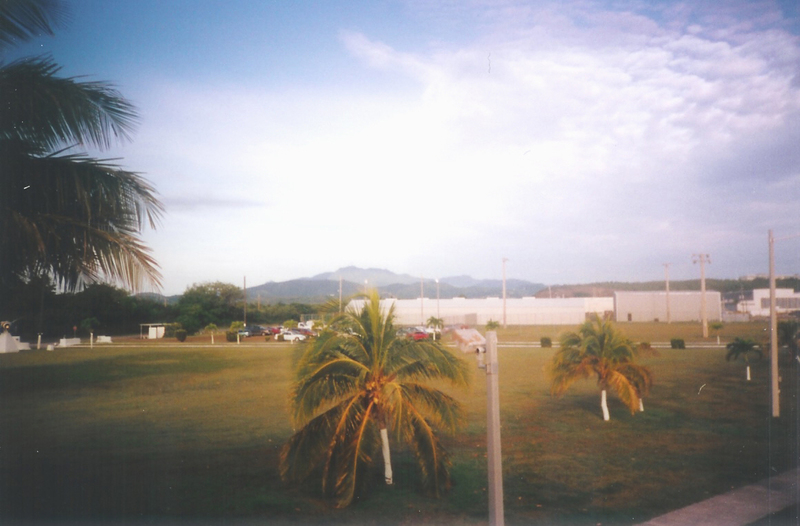 The view from my barracks room. 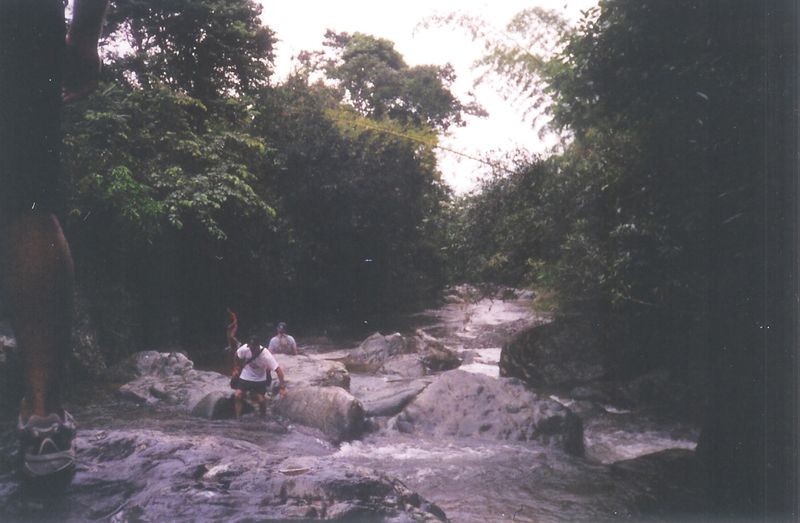 A waterfall in the rainforest. 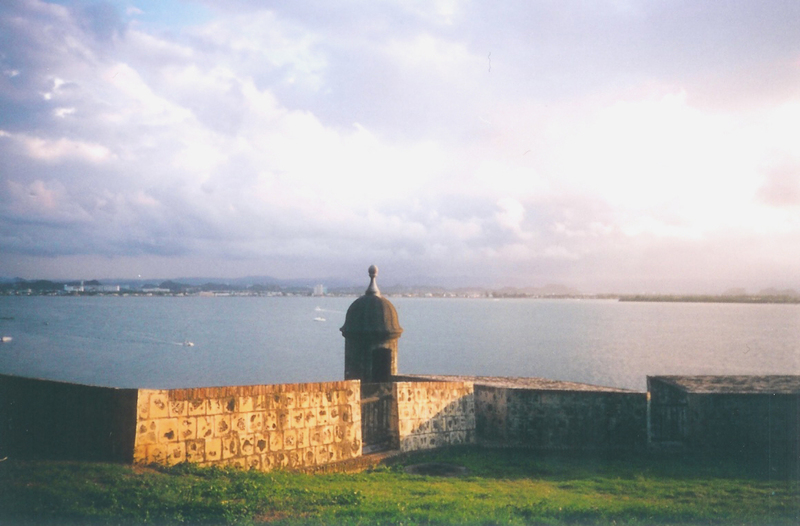 A picture taken in Old San Juan. The view I had each morning eating breakfast. As the Engineering Officer, I was part of the operations department, so I was overseeing the surveyors and soil testing, but also helped with the required operational reports that had to be done. 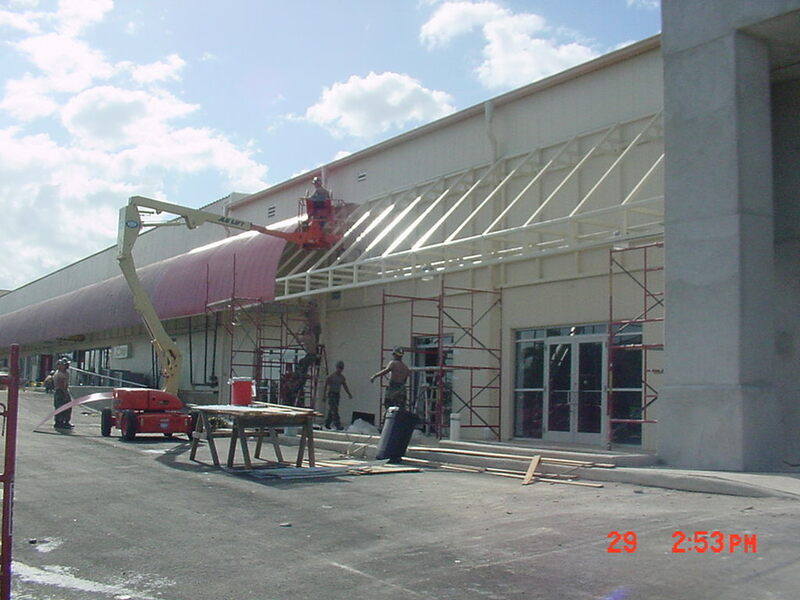 Our projects down there included an expansion of the Navy Exchange, building a veterinarian clinic, and rehabilitating a barracks. We also received a request for a Commanding Officer Discretionary Project which I was put in charge of. 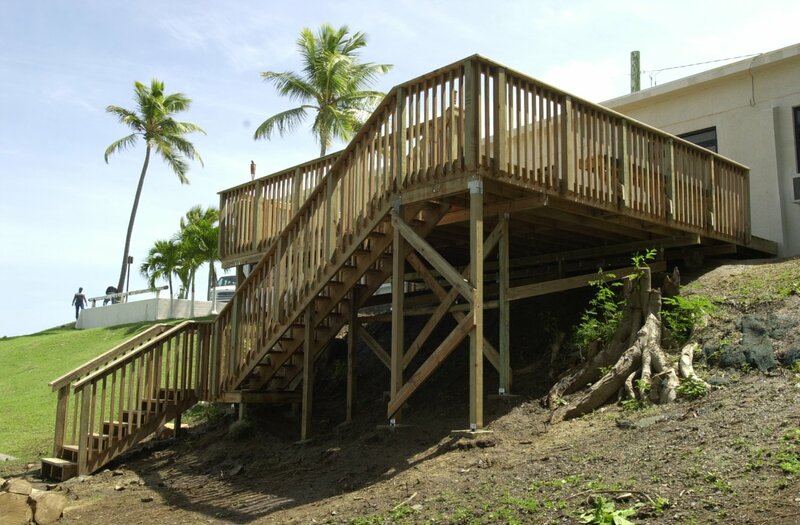 The project consisted of building a deck for the visiting Admiral's quarters. 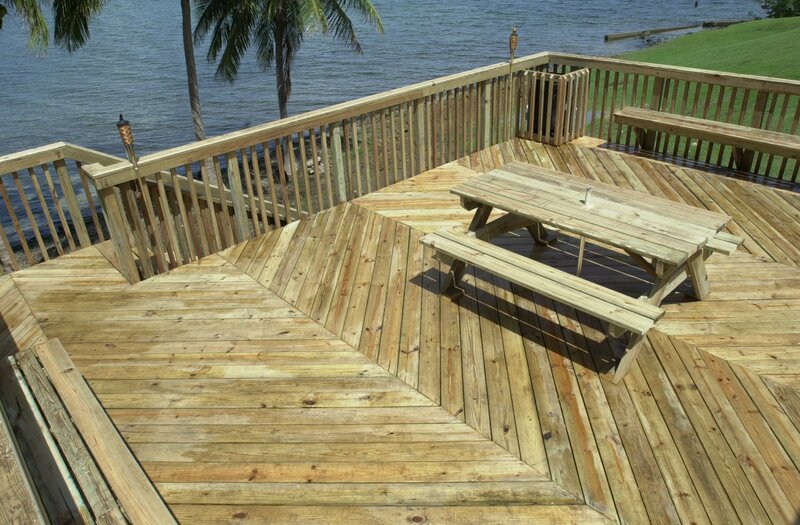 There are pictures of the deck below. It was tricky because of how steep the slope was. At the end of November it was time for our battalion to come back to Mississippi. We leave a delayed party back, so since I came late, I was on the delayed party as the vertical construction company commander. This meant I had about 50 people working for me (see the picture of the crew below). Our big task was to finish the Naval Exchange Expansion. We were almost done, but ran into a problem rolling the corrugated metal awning into a quarter circle. Our prime vendor in the states said that no one in Puerto Rico could do it and we would have to ship it in from San Antonio for $17,000. There was a good chance too that it wouldn't be delivered in time for our turnover. I couldn't believe that they couldn't do it in Puerto Rico so I made some phone calls and drove down to a metal culvert maker and bargained and pleeded. He finally said he would give it a try. It worked, and he did it for $7,000 and delivered it a week early. It felt good to be able to make such a big contribution having only been on board for a few months. We finally left in December and returned to Mississippi. I was in Mississippi until the middle of January when I went to California for 3 months for a Navy School. The deck I supervised. Me and the crew for the project. The picture of the awning that gave us problems. Overall picture of the Exchange project.